Celebrate your love in a fairy-tale way! Pamper your love over a romantic candlelight dinner in a mesmerizing location amidst picturesque gardens. 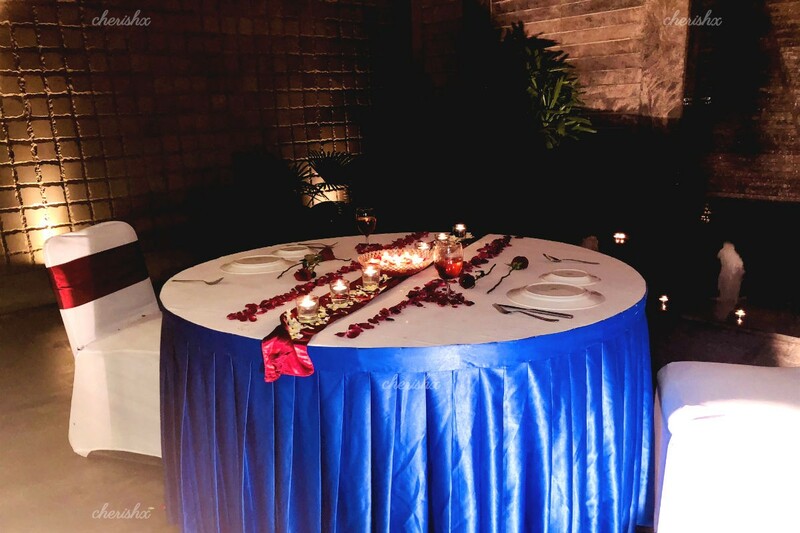 Away from the hustle and bustle of the city life, a perfect date ambience awaits you. Drive through scenic lanes to reach your date venue with your partner. As you walk in the venue you can hear the water trickling down the beautiful indoor waterfall fountain just beside your dining area. The excitement of your loved one, as he or she walks towards the table in the place that matches the otherworldly elegance of the place, aims to blend simplicity and serenity, would be a delight to watch. 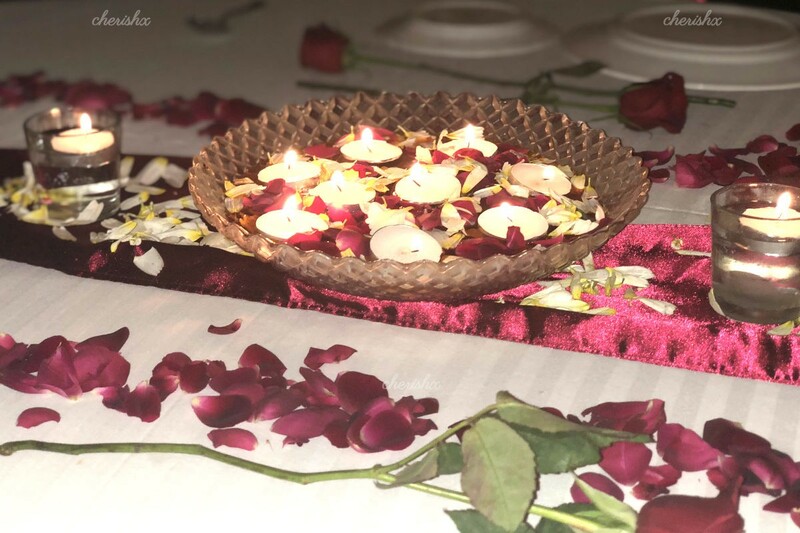 The smile on their face gets extended as soon as the elaborate courses of very delicious romantic candlelight dinner. You have North Indian 3 course dinner served by a private butler, providing a blend of service and privacy. 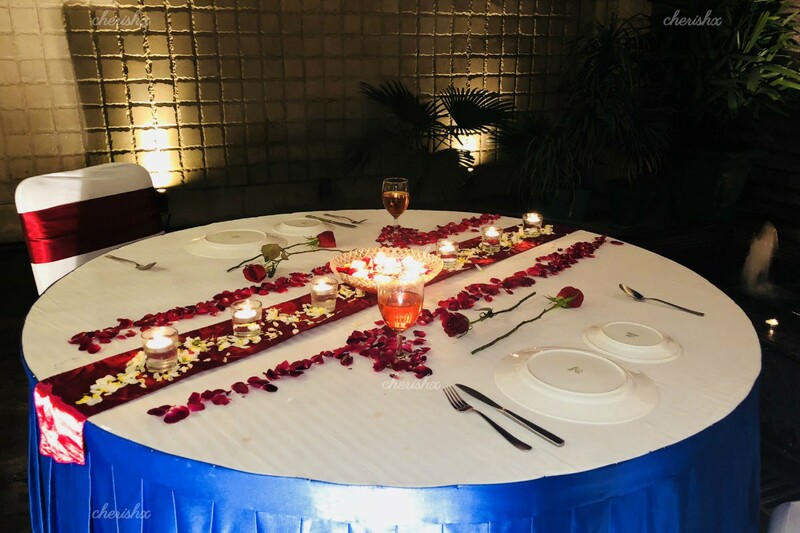 This dinner will be set-up by our expert experience designer who would decorate your table and tailor the candlelight setting by the waterfall.